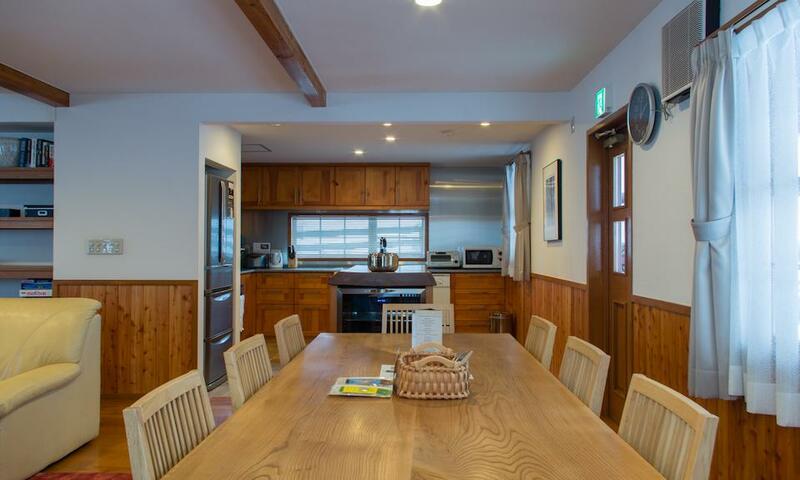 Kisetsu Niseko is a stylish and spacious 3 bedroom chalet set in the quiet but convenient area of Niseko Izumikyo just 1 minute walk to the shuttle stop. 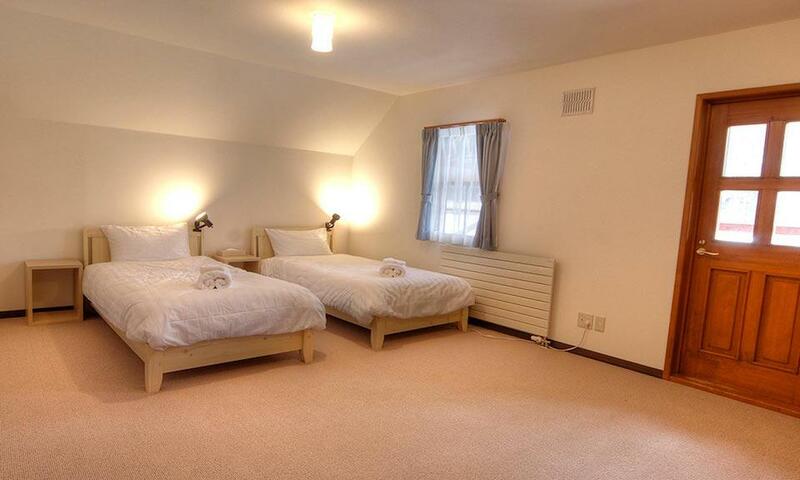 With 3 bedrooms, 2 bathrooms and wood-burning fireplace, Kisetsu is a perfect mountain retreat. 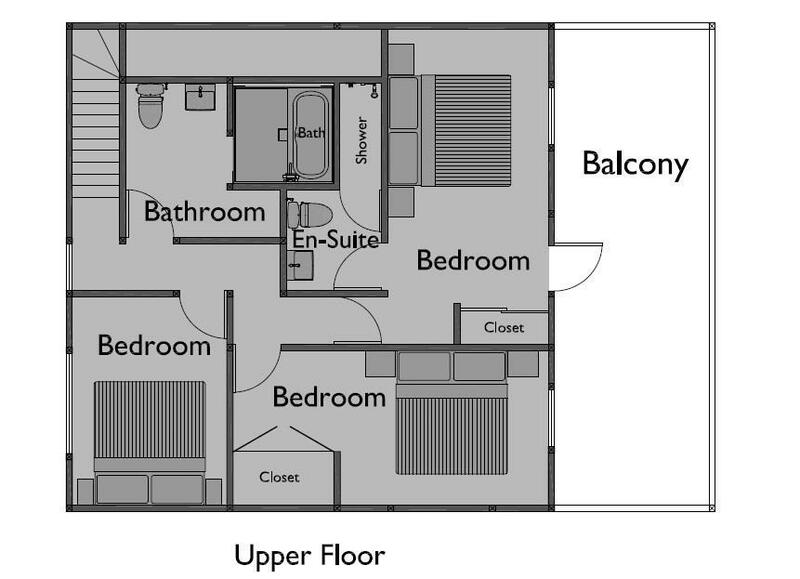 Kisetsu Niseko is a 3 bedroom, 2 bathroom + toilet Izumikyo chalet spread out over two floors offering comfort and convenience within a quiet setting. 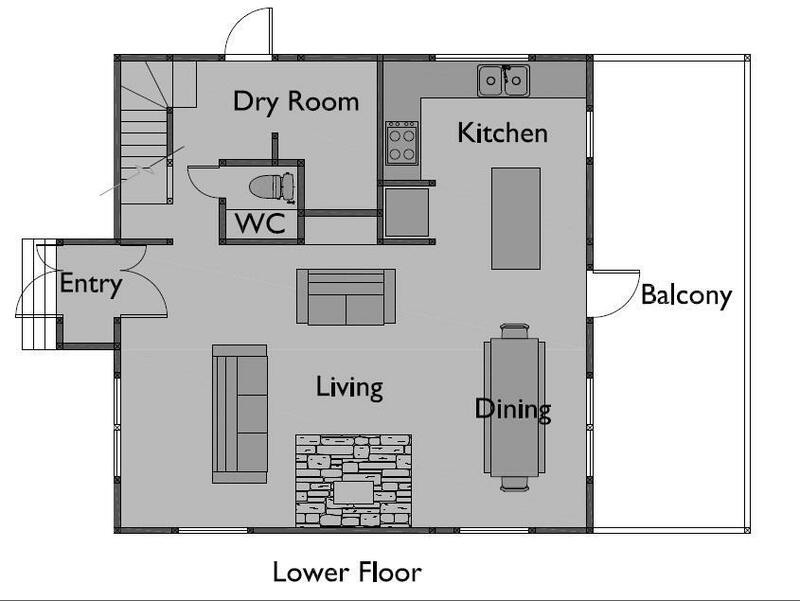 Guests can enjoy the cozy, relaxing open plan kitchen and living/dining area with a stand-alone wood burning fireplace, wide screen TV. 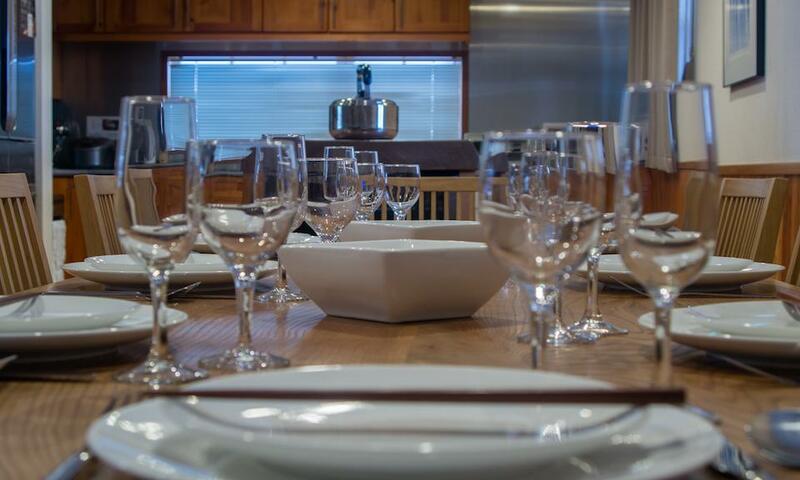 drying room, laundry facilities and onsite parking compliments the property making it the perfect mountain retreat for families and groups looking for convenience and comfort. 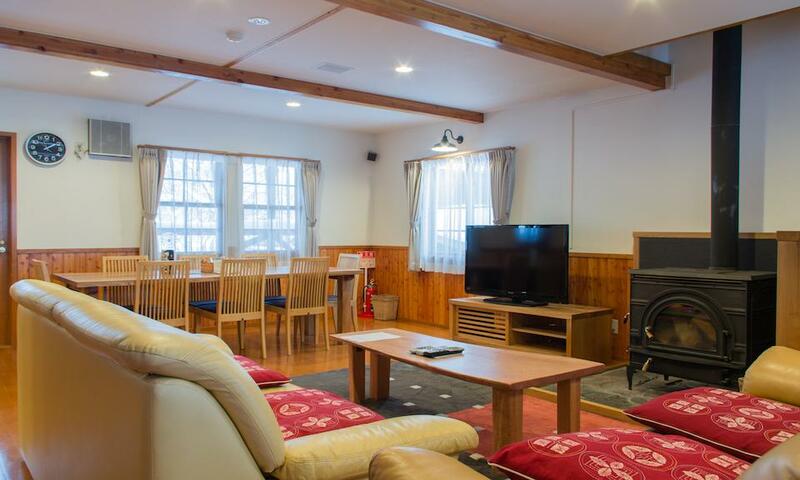 Kisetsu Chalet is set in Niseko’s Izumikyo area, just 8 minute walk to the Hirafu lifts and less than 5 minutes into central Hirafu to access Niseko’s best shops, restaurants and cafes. 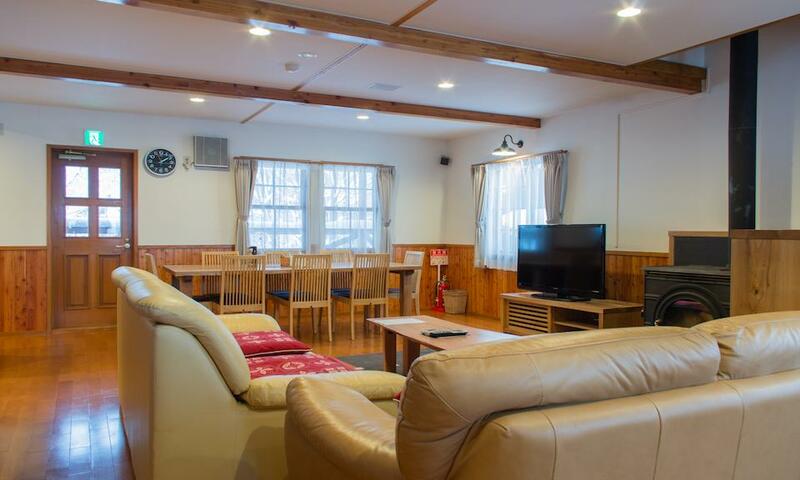 Niseko Adventure Centre, with the popular JoJo’s restaurant is located just across the street, is a convenient place to get your morning caffeine on the way to the slopes. 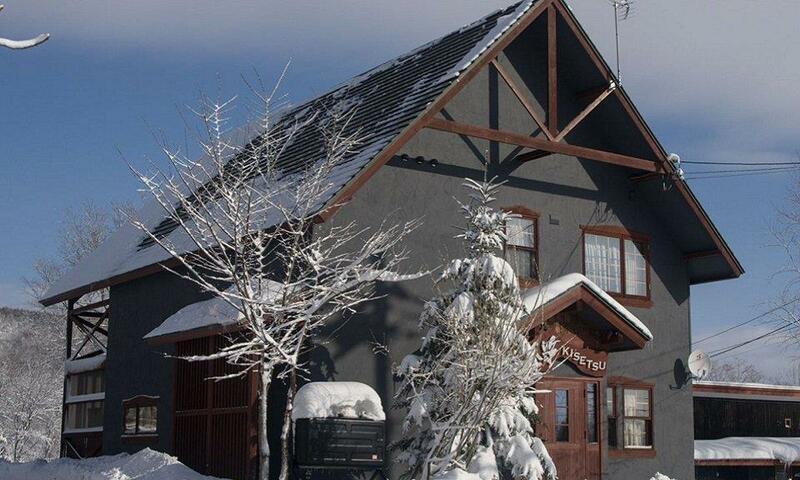 Or try Niseko Ramen Kazahana, just adjacent to Kisetsu Chalet. 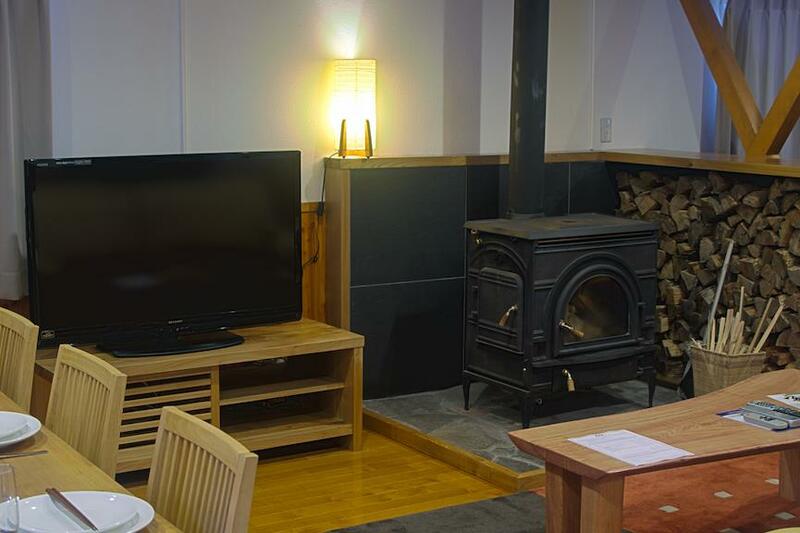 The Niseko United shuttle stops just 1 minute from Kisetsu, easily connecting you to the Hirafu lifts and other Niseko resorts.